As you may know, the manufacturing contract between Solid Gold and Diamond Pet Foods was terminated in April leaving Solid Gold Health Products For Pets, Inc. with little supply of WolfCub, WolfKing, and Just a Wee Bit dog foods and no definite manufacturing plans. 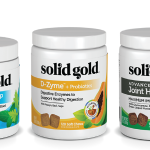 Solid Gold spent the last 3 months searching for a new manufacturer for the 3 bison foods to no avail. 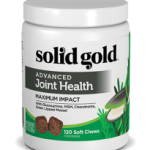 (Solid Gold Hund-n-Flocken was able to be moved to Crosswinds Pet Foods for manufacturing, where all other Solid Gold dry dog and cat food is made.) Making Solid Gold dry pet foods is not like making bread. Many mills do not have the capacity to bring in the line, do not have the technology for fresh meat inclusion, cannot source some of the unique ingredients, etc. 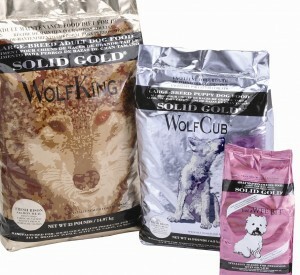 Diamond Pet Foods has agreed to again start making WolfKing, WolfCub, and Just a Wee Bit. They have initiated new quality control protocols including a positive release program. Even though Solid Gold has no indication that their recalled foods were ever contaminated, this extra quality control measure should provide additional reassurance to consumers. For those of you not familiar with a “positive release program”, all batches of food are tested for salmonella at an independent lab before the food is released into distribution. Solid Gold’s other plant, Crosswinds Pet Foods, already operates a positive release program. All three foods are now in stock at Solid Gold Northland and will begin to be delivered to retail stores today. This has been a difficult time for both Solid Gold and customers and we greatly thank you for your patience.